Taking hassle out of housework! A&G Cleaning offers domestic cleaning services in Bournemouth, Poole, and Christchurch. At A&G we take pride in your home and take the hassle out of housework to allow you to enjoy your free time. We can schedule your cleaning service to suit your needs (e.g. weekly, fortnightly, monthly) or you can give us a call to arrange cleaning as you need it. Our cleaners are trained to clean your home using a system that divides your living environment into three different areas: Kitchens, Bathrooms, and Reception/Bedroom. This cleaning system avoids cross-contamination and allows us to tailor the cleaning services we provide. For example, you may require Kitchens and Bathrooms to be cleaned once per week and Reception/Bedroom cleaning every other week. Most major carpet manufacturers recommend carpets are cleaned every 6-12 months to maintain their condition and appearance. 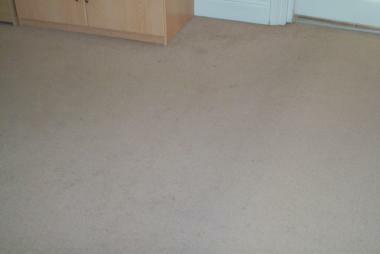 Our three-stage carpet cleaning process ensures they are cleaned to a high standard. 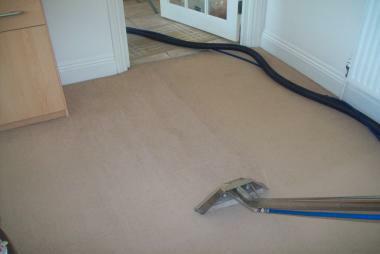 Stage 1 - The carpet is vacuumed thoroughly to remove all dry debris, grit, pollen, dust etc. Stage 3 - The carpet is cleaned using an extraction machine to remove all dirt, stains, and dust mites. This carpet cleaning process brings your carpets up to their best possible cleanliness and extends the life of your carpet. All cleaning solutions used in this process are child and pet friendly. At A&G Cleaning, we love to take on the cleaning jobs that you hate. Let us clean your home in the Spring to rid your home of winter dust and germs. We will clean your home from top to bottom leaving it looking and smelling great. We provide this special kitchen and bathroom cleaning service to rejuvenate the look and cleanliness of these two rooms. The dirty and mouldy grout and mastic is raked out and new mastic and grout is re-applied. A&G Cleaning also offers professional commercial cleaning services to letting agents and estate agents on rental properties in Bournemouth, Poole, and Christchurch. We provide end of tenancy cleaning services on properties that are in need of a thorough and deep clean at the start or end of a tenancy. We understand the requirements of inventory check-ins and check-outs and the importance cleaning the property to a professional standard. We work with a checklist to ensure a thorough cleaning service is delivered each and every time.